Do you often have visitors at your home? Do you love cooking for people and entertaining? Are you looking to improve your entertainment area or backyard to make it more ‘visitor friendly’? Here are three suggestions on how to seriously your backyard’s usability and liveability. One of the cardinal rules of design – whether inside or outside the home – is to make your space functional. If we were talking about computer software or a website, we’d use the expression ‘user-friendly’. It’s the same principle. When it comes to renovating or even just reorganising a room or area; think about how you use or would like to use that space. A key way to enhance the functionality of an area is to divide it up by use. When it comes to your backyard or entertainment area, there are usually three ways people use that space, and therefore, three distinct areas that we can create. Firstly, it’s a great idea to have a seated / lounge-type area where you can serve morning or afternoon teas or cocktails! This is a more relaxed, informal area and for this space, an outdoor sofa and coffee table is perfect. The next area to focus on is outdoor dining. Two major things to think about here are: 1) How often to do entertain and do you need to upgrade to a bigger outdoor dining suite? Perhaps you just need some folding chairs and tables to store away for when you need them? 2) What style or theme are you going for out the back of your place? Also, what is the vintage of your property? Make sure you either dress up an old table and chairs or buy a new setting that ties in nicely with both. For a great range and inspiration, check out www.barbequesgalore.com.au. The last area you need to think about for your backyard, is room to play and move. If you’ve got enough space, dedicate a grassed area to a bit of backyard cricket -it’d be un-Australian not too! But seriously, if kids are in the picture, having an area where they can burn off their seemingly endless energy is critical. Even if you don’t have kids, you’ve undoubtedly got friends and/or family who do. Having a green patch to simply lie down on is also a great way just to relax. There is nothing worse than going to a party or social event during the colder months of the year and being cold! It’s hard to enjoy yourself when you’re not comfortable, so make sure you do the same for your guests. There are so many heating options available now, so make sure you shop around and get the right advice on what will provide adequate heat and coverage for your outdoor entertaining space. 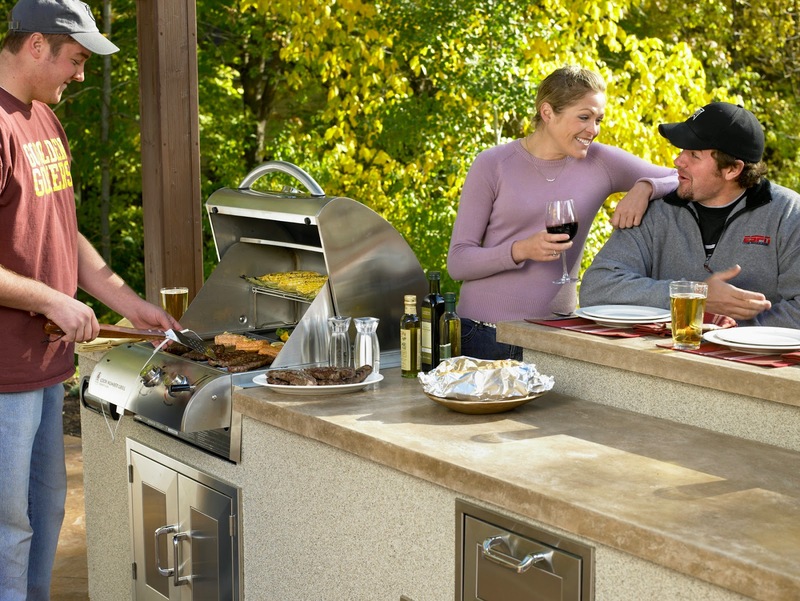 If you’re entertaining, you’d rather be outside with your guests right? Sick of running in and out of the house to get more supplies from the kitchen? Imagine if you could simply wander over to your ‘outdoor kitchen’ and get what you need? This creates a far more relaxing atmosphere for everyone. What’s more, guests may even be able to go and serve themselves from the outdoor kitchen, making them feel more at home and reducing your workload! A happy host usually means happy guests!! If you’re unlikely to be the next family featured on some other crazy backyard make-over show, just make use of some of the simple ideas above to transform your backyard into another room of your house.